The UH-34D belonged to a family of helicopters under the H-34 Choctaw. The Choctaw was a multi-purpose utility helicopter developed by Sikorsky for the US Marine Corps. Replacing the UH-19 Chickasaw series of the Korean War, the UH-34D was originally designed as an anti-submarine aircraft to be used by the US Navy. The Choctaw was used by the US Army, Marine Corps, Coast Guard, and Air Force due to its multi-faceted capabilities, including its large payload capacity and generous center-of-gravity range. It proved to be a commercial success and was fielded in the ranks of 27 foreign partners. The UH-34D, in particular, was used heavily by the US Marine Corps and Coast Guard. 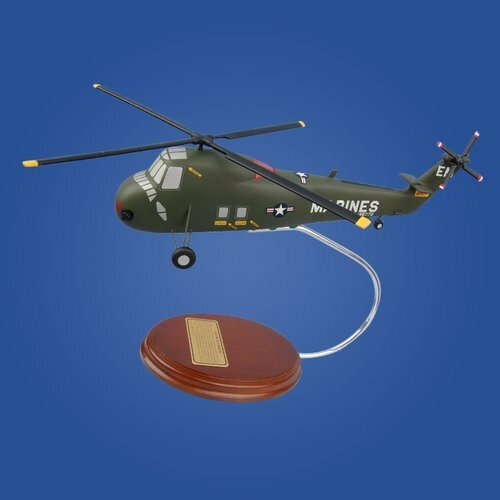 It was the main assault helicopter of the US Marine Corps during the Vietnam War. Eventually, even France and Great Britain deployed versions of the UH-34D in some of their helicopter combat assault operations.